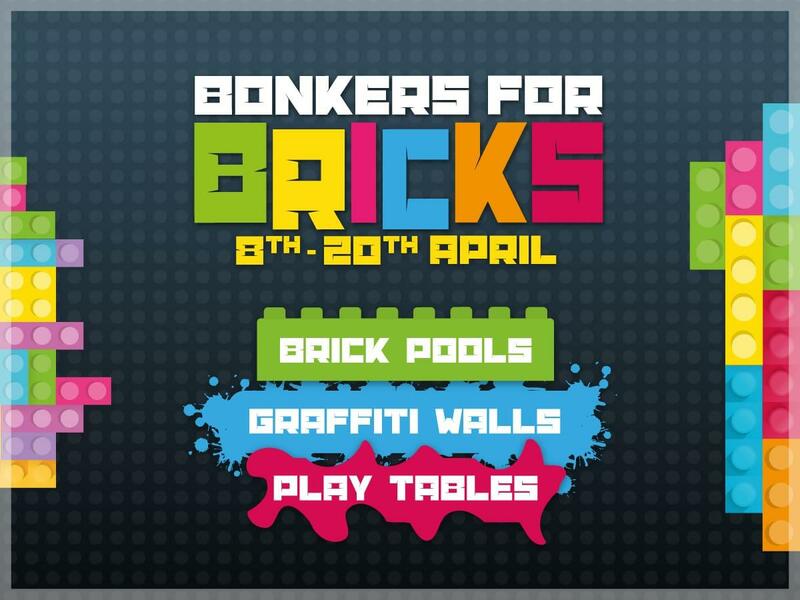 We're going bonkers for bricks this Easter! We're going bonkers for bricks this Easter at The Meadows! From 8th to 20th April, you can get creative, whatever your age or ability and whether you've got five minutes or five hours to spare. With our mix of play tables, brick pools and graffiti walls* plus plenty of bricks, you're bound to find something to build so let your imagination run wild!